Posted by Frnkrunz in Fallout 76 Character Builds. This was my first ever character. 5 posts, last by KingofPSU 3 weeks ago. 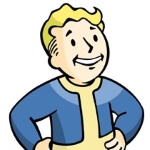 Posted by CaedoGenesis in Fallout 76 Guides & Tips. Posted by Victor420yoloswag in Fallout 76 Character Builds. This build is my attempt to min/max a grouped melee dps inside a nuke zone for endgame content. All perks are chosen based on highest dps output potential while not overstepping into diminished returns. 5 posts, last by Victor420yoloswag 4 months ago. Posted by GrimHood in Fallout 76 Character Builds. If you like big guns and power armor this build will do the trick. These perks will turn you in to a Behemoth, spewing molten lead and stomping on scorcher skulls. 8 posts, last by KAPER 4 months ago. Posted by LairdMaccles in Fallout 76 Character Builds. 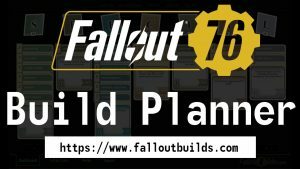 Using some of the knowledge I have picked up from playing and studying various other builds I have developed what I currently believe to be the build best equipped to deal with a multitude of different solo scenarios. 3 posts, last by LairdMaccles 5 months ago.